Each wand is individually hand scraped, carved and finished from a single piece of reclaimed wood using a manual wood lathe. 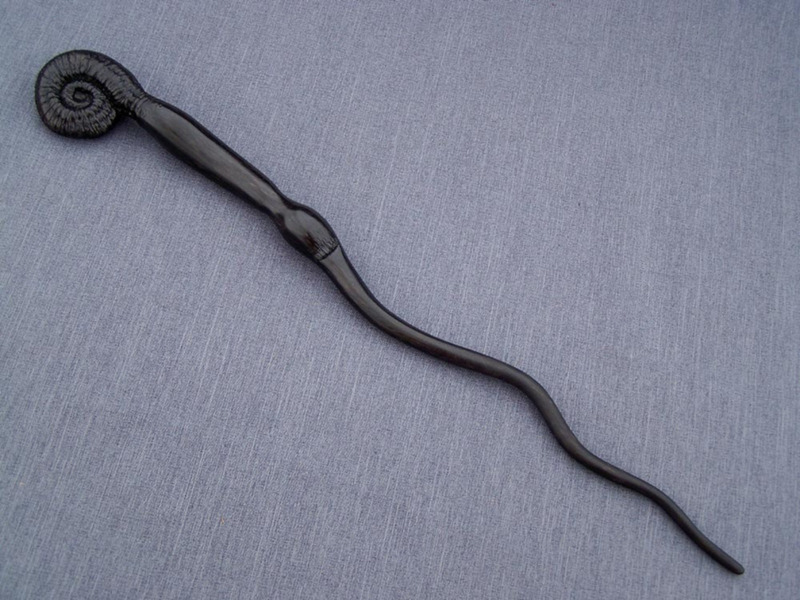 This listing is for a hand scraped and carved Mahogany wood magic wand with a tapered shaft, inspired by the wand of Peter Pettigrew. 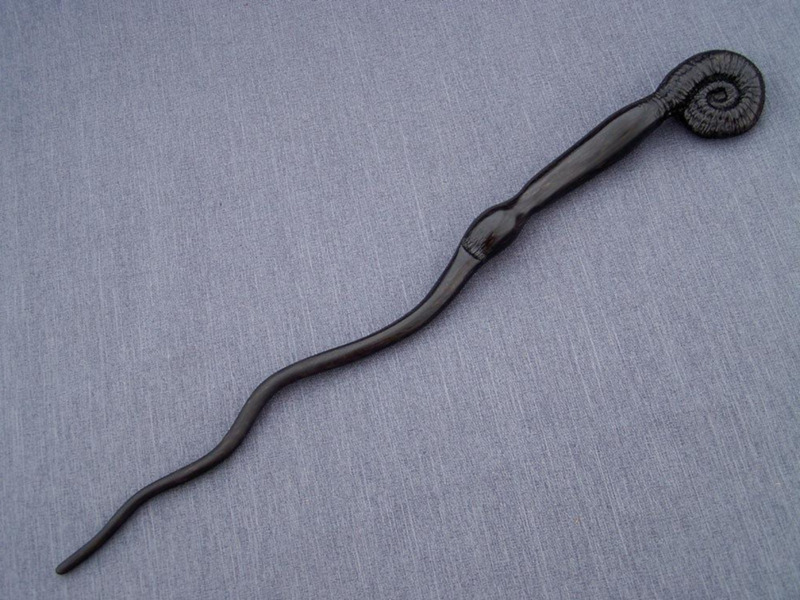 The wand measures 14 1/4 inches in over all length with a 8 inch tapered wavy shaft, 6 1/4 inch handle, the handle has an approximate 1 5/8 inch width and 5/8 inch thick. The wand is finished with natural pigments and clear turners finish and includes a velvet cloth storage bag.